Search giant Google says its AI-powered voice assistant, Google Assistant, can do more than 1 million actions. And all it takes is an “OK Google” with the company’s Google Home smart speaker. It’s a genius move from the main arm of parent company Alphabet (GOOGL). Google makes money from selling the Google Home speakers, and it positions the company to eventually collect revenue through, say, its AdWords program, where businesses pay for a higher placement in search results. Think about a person searching for an open Chinese restaurant or a plumber with a good reputation. Consumers win, too, because Google Home promises to do a boatload of interesting tasks. 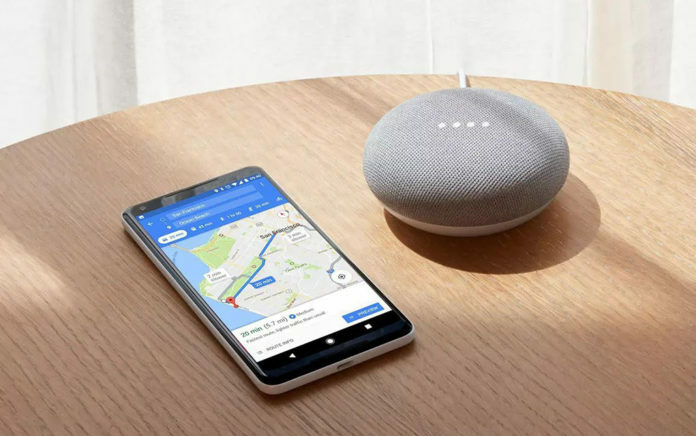 The following is a look at 10 of the coolest things you can ask your Google Home smart speaker – as well as your Google Home Mini, Google Home Max or even a third-party speaker with integrated Google Assistant – to do for you. Most recent TVs come equipped with “smarts.” For some, this means integrated Google Chromecast functionality. The Vizio SmartCast TVs featured in our big-screen TV guide are a great example of this technology going mainstream. But if you have an older, “dumb” model, you still can plug a Google Chromecast streaming dongle into virtually any TV with an HDMI port. Once that Chromecast capability is there, your Google Home smart speaker becomes the ultimate voice-controlled TV remote. There are no batteries to replace, no tiny labels to squint at, and you never have to worry about losing it in the sofa cushions. “OK Google” lets you turn your TV on or off. You can control key functions like volume or pausing playback. You can skip to the next episode in a series. You can even tell your TV to stream a specific video on Netflix or YouTube. With that command, your Google Home smart speaker can interface with a compatible smart thermostat – like the Nest Learning Thermostat – to adjust the temperature in your home. All without having to lift a finger. From a consumer point of view, that’s handy. From Google’s point of view, that puts it in control of the largest user of energy in your home: heating and cooling. That’s a big foot in the door to a smart home market projected to be worth nearly $138 billion by 2023. And it adds more value to Google’s $3.2 billion 2014 purchase of Nest Labs. Besides controlling the TV and thermostat, and being able to ask about things such as a weather forecast, people also can use Google Home (and even other smart speakers with Google Assistant) to control smart lighting. For instance, one wall of my office is covered by Nanoleaf smart light panels. There’s a physical on/off switch, but that’s the control of last resort. I used to rely on my iPhone, but even that means finding said phone, launching the app, using it to turn on the lights, then thumbing through the presets to find a color or pattern I want. So much effort! Google Home’s Google Assistant is supported by many smart light platforms, including Nanoleaf. Now all I have to do is tell my smart speaker to turn on the office lights and tell it the color I want. It couldn’t be easier, or faster. The Google Home smart speaker also can control supported smart door locks. Being able to unlock the front door almost instantly with just a voice command is a lot easier (and probably faster) than making a dash to the door to let someone in. If you’ve gone to bed and suddenly can’t remember if you locked the door, you also can ask your Google Home to check for you instead of getting up. And if you forgot, well … again, one voice command, and Google Home can lock it for you. If you have a supported smart camera like the Nest Cam IQ, you can tell your Google Home to show a camera feed on a Chromecast-enabled smart TV. For example, “Hey Google, show front security camera on living room Vizio TV.” The video feed will play on the TV. Are you one of those people who constantly misplaces their smartphone? If you have teenagers, you’ll find that it happens a lot. Following the ringtone is the most reliable way of tracking a phone down, and greatly reduces the amount of time spend pulling up chair cushions, going through pockets and looking under couches. However, this requires someone else who hasn’t also lost their phone to call the missing smartphone. That takes effort and a degree of cooperation that a house full of teenagers cannot always muster. It’s a lot easier to say, “OK Google, find my phone.” With those magic words, the Google Home will call that missing smartphone for you. It won’t even judge if it’s an iPhone or even a BlackBerry. Your Google Home can search for movies and schedules at nearby theaters. That’s basic Google Search using Google Assistant functionality. But did you know you can also tell the smart speaker to go ahead and book you a ticket to a show? Thanks to a partnership with Fandango, Google Home owners can tell their speaker: “OK Google, please buy two tickets for Gotti at 7 p.m.” After the speaker stops laughing (Just kidding! It’s the Amazon Echo that laughs at its owners), Fandango sends a link to purchase the tickets to their smartphone. Yes, the smartphone does still have to come into play to actually approve the purchase, but the hard work is done. With Google Home, you can place a telephone call to anyone in your Google Contacts. Just say: “OK Google, call Mom,” and you have a hands-free call so you can multitask instead of having to hold a phone up to your face. Even better, Google Home will make the call for free – no long-distance charges. It’s using your Wi-Fi network, not a landline, so it bypasses the telecom companies. Another cool thing you can do with multiple Google Home smart speakers set up throughout a house is to use them as intercoms. Just say “OK Google, broadcast …” followed by a message. Think of it more like a school intercom where you broadcast a message, rather than a real-time, two-way conversation, and you get the picture. But it’s pretty handy when you’re trying to round up the kids for dinner. Or trying to figure out which of your roommates used the Google Home to order the pizza that’s now in the hands of a delivery person standing at the front door. Have somewhere to go, no car and no time to pick up your smartphone to order an Uber? No worries! You can use your voice to do it with your Google Home. “OK Google, get me an Uber” will do it. From there you’ll be asked to confirm your pickup address and be told how far away the nearest driver is. Google Home will ask you to confirm you do indeed want to be picked up and summon the UberX driver. At this point, you’re going to have to put in the effort of opening the Uber app on your smartphone to enter your destination. However, before the driver arrives, you still have two ways to fall back to that super-easy voice control using Google Home. Ask “OK Google, where’s my Uber?” to get an update on how far away the car is, or use “OK Google” to cancel the Uber. It’s natural, given Amazon.com’s (AMZN) day job as an online retailer, that the Amazon Echo smart speaker can be used to order products online. But you also can use voice commands to buy things with the Google Home. In the case of the Google Home, the smart speaker is connected to Google Express. At the moment, you can buy just one item per order, and that item is limited to products priced between $4 and $100. That may sound limiting, but it means that with one command, you can tell Google Home to order that toilet paper you just realized is running perilously low. If you’re willing to check out using your smartphone, you can rack up an extended order by voice. Just keep telling Google Home to add products to your cart, and they’ll be there waiting for you. Finally, your Google Home smart speaker can also play music. Why is this cool? Well, unlike some smart speakers, with a Google Home you aren’t locked into one of Google’s streaming music services. Sure, you can use Google Play Music, but a Google Home smart speaker also will let you use Google Assistant to voice-control competing streaming music services. You get full access to Spotify by linking your Spotify account to Google Home and can ask the smart speaker to play one of your Spotify playlists, or to search for a specific artist, track or album on the service. And unlike the Amazon Echo – which is smart but not particularly spectacular in on the audio-performance front – Google offers a compelling option for music lovers in the form of the Google Home Max. Listening to your Friday mix on a smart speaker sporting a pair of 4.5-inch woofers and dual tweeters is a solid experience.